Drifting and Rally driving requires extensive use of the handbrake, which can show weaknesses in standard cable type handbrakes. The hydraulic system eliminates the weaknesses as in the standard cable type handbrakes. The hydraulic system connects into the brake line that runs to the rear calipers and requires a lot less force to completely lock both rear wheels when needed. A hydraulic handbrake is used by drivers to lock up or break loose the rear wheels when they want to Drift the car sideways or spin on the spot. Rally drivers regularly need to spin 180 degrees "on the spot" when they over shoot an intersection, or need to turn very hard left or right and there's not enough wheel lock to achieve this. The hydraulic handbrake is not used to stop the car. A hydraulic hand brake can be added into the rear brake line system without changing the original mechanical handbrake setup. obp Motorsport's design and manufacture all these units in their own well equipped factory based in England. 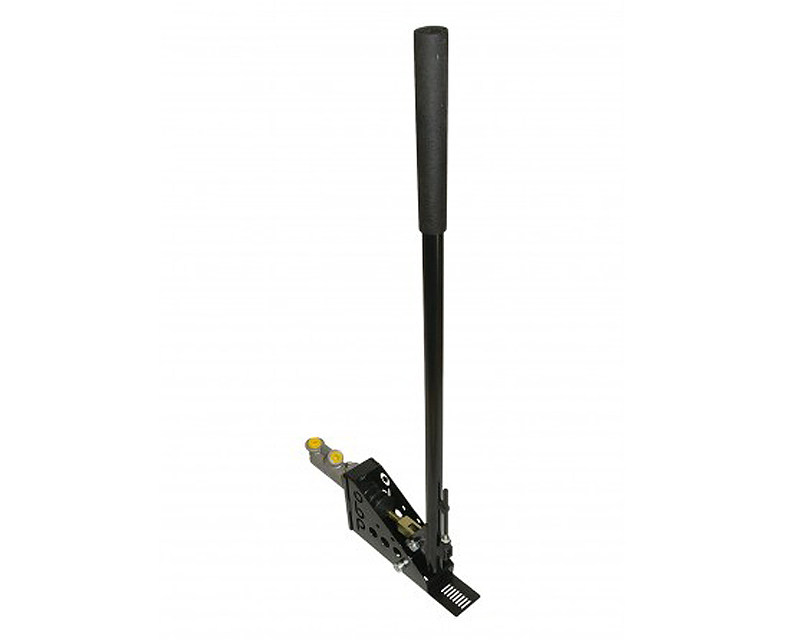 These Hydraulic handbrakes are constructed out of lightened steel with a Black powder coat finish, giving you an extremely strong product that will last a life time. These systems will allow you to use the Hydraulic Handbrake as a temporary park brake. Do NOT use the Hyd Handbrake as a permanent park brake.